6 Closet Types for the Newly Independent! Both men and women have grown up hearing typical phrases from our moms: clean up your room! Your clothes are always on the floor! Fold up your clothes! Clean up your cupboard! But when we are young, it doesn't seem to bother us too much—until we move into our homes and become independent! When we are making our own rules in our own homes, we understand the need to keep our clothes clean and tidy because it makes such a difference to our every day lives. We can get dressed quicker in the mornings and if a friend pops by, we don't have to be embarrassed by the state of our homes. We want to show the world that we can survive as a solo person! 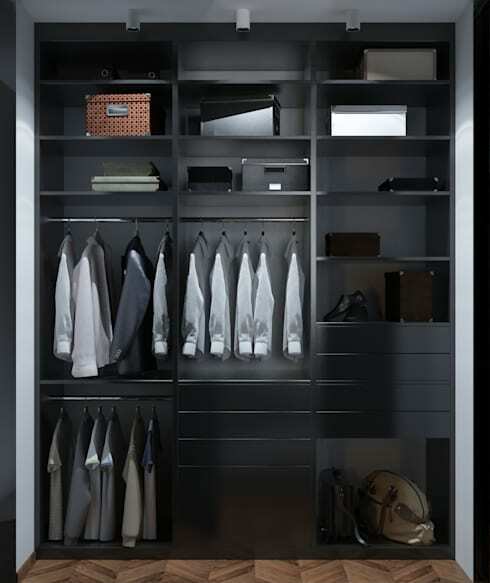 This is why today at homify, we are going to bring you six types of closets that will help you to keep your clothes tidy, without compromising on style. Many apartments don't have a built-in closet in their design, but that's not a problem! Here we can see how two closets have been fitted into this space, dividing up the bedroom to create an almost walk-in closet! A lack of closet space is nothing a bit of innovation and some additional furniture can't fix! Tip: Use a stylish grey tone for your closet to keep the look and feel classy. Combined with neatly folded up clothes, you'll have the best walk-in closet on the block! If you want to go for a more a classic but elegant look, then this design by Agence MGA Architecte DPLG is a great choice! Opt for a closet with a sliding door, which is finished in soft, neutral tones. This makes the area look that much more subtle and spacious. The sliding door will also keep your garments out of sight so that the bedroom looks that much neater and more tidy. If you're a more innovative character, you may want to incorporate a whole new room into your bedroom for your closet. In this design we can see how, by using drywall, you can create the perfect little closet. Decorate the dry wall with some trendy wallpaper and not only will it look great, but you'll have a completely private space to get dressed in! There will also be plenty of space to keep your clothes and accessories in perfect order. Every part of your home reflects your personality. If you are a more serious character, then this industrial design is for you. 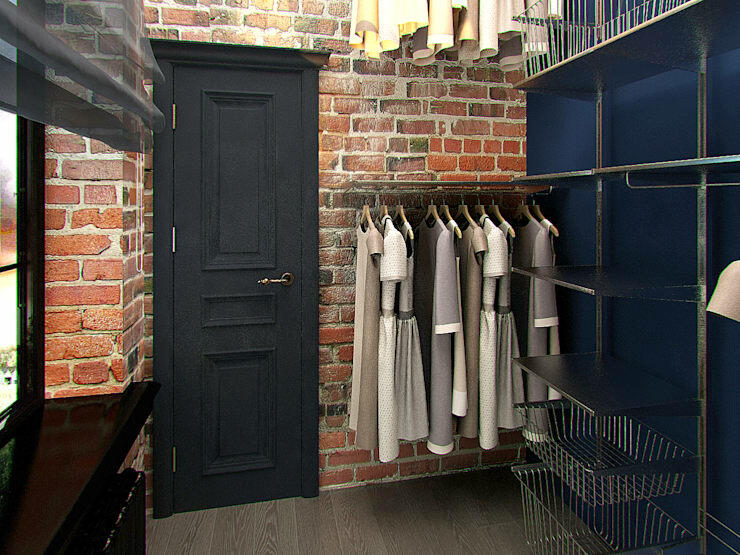 A closet has been built into the wall, where the dark grey gives an elegant touch to your home. The broad and diverse spaces allow you to keep all of your garments in perfect order. Also have a look at this ideabook: The easy way to design a closet in the bedroom. If you have an empty room available, then this is the perfect place to use as a closet! 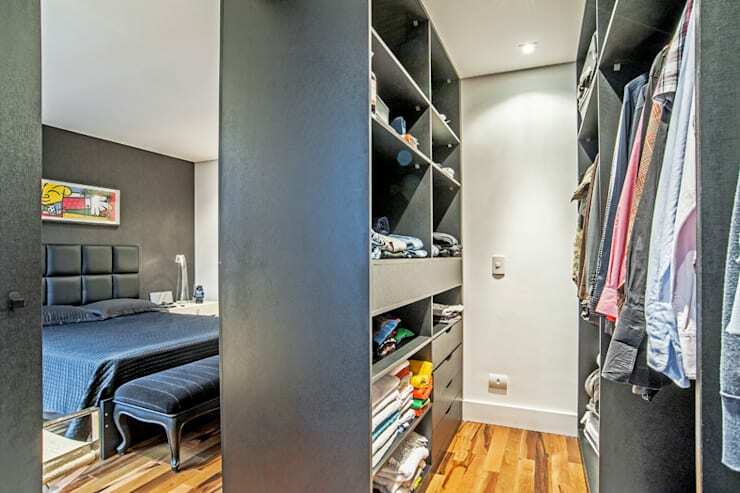 In this design, we can see how a room has been remodeled as a closet, based on a very chic industrial design. The result is superb! The orange brick wall contrasts beautifully with the dark grey door and the shelves and hanging areas for the clothes. There is also so much space—a luxury for anyone who loves their clothes and accessories to exist in perfect harmony. 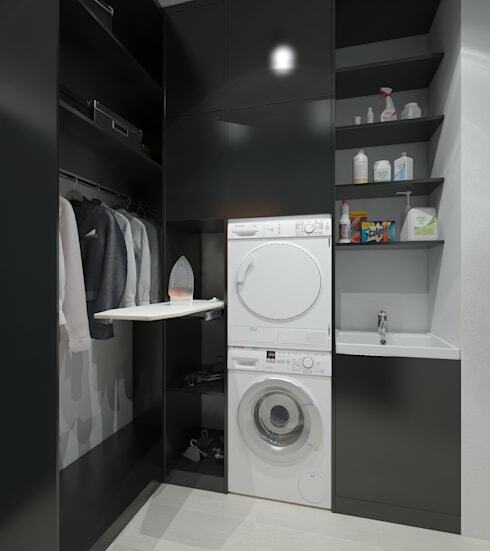 If you don't have an empty room but you have a washing room at your disposal, then you have the perfect solution! A washing room is a great place to install a wardrobe and shelves for your clothes and it will be so easy to hang them up once you are done ironing. If you believe in saving space, this is the perfect option. Alternatively, if you're looking to install a closet into your home, have a look through these homify closets for inspiration! Was this article helpful? Comment your thoughts below!